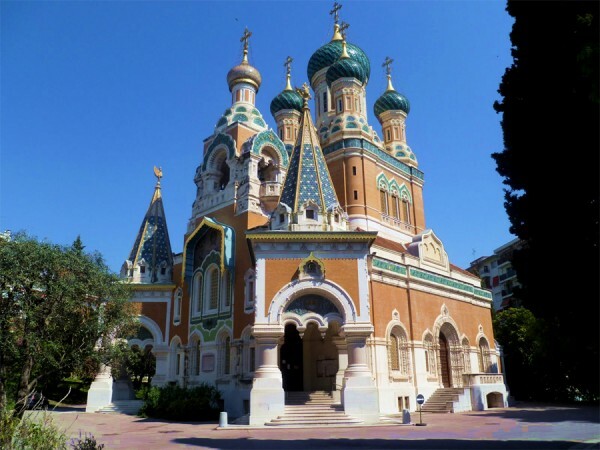 On 19 January 2016, the Feast of the Baptism of Our Lord, the celebrations marking the Lesser Consecration of St Nicholas Cathedral, one of the most beautiful churches of the Russian Orthodox Church abroad, took place in Nice, France. Built in the early 20th century thanks to the Royal family, it was given back to Russia a century later and underwent a large-scale restoration. On the feast day, the parishioners and numerous guests could see the church in all its splendor. Bishop Nestor of Chersonese and Bishop Antony of Bogorodsk, head of the Moscow Patriarchate’s Administration for Institutions Abroad, celebrated the rite of Lesser Consecration and the Divine Liturgy at St Nicholas Cathedral. Concelebrating with the archpastors were archpriest Andrei Yelisov, rector of the church; Rev. Maxim Politov, secretary of the diocese of Chersonese; clergy of the diocese, and representatives of the Local Orthodox Churches. Among those who attended the service were Mr. Alexander Orlov, Russia’s Ambassador to France; Mr. Christian Estrosi, Mayor of Nice; Mr. Petr Fradkov, deputy head of the Russian President’s Executive Office; Mr. Ivan Serditov, head of the Federal State Unitary Enterprise ‘Goszagransobstvennost;’ and the Catholic Bishop of Nice, André Marceau. Bishop Antony of Bogorodsk conveyed to all those present greetings and blessing from His Holiness Patriarch Kirill of Moscow and All Russia and noted the significance of this event for the Russian expatriate community. The service was followed by a reception at the City Hall of Nice, website of St Catherine’s Church in Rome reports.